Brittany is a PC gaming addict! Her favourite genres are simulation games, tycoons, RPG, city-builders, puzzles, and more! 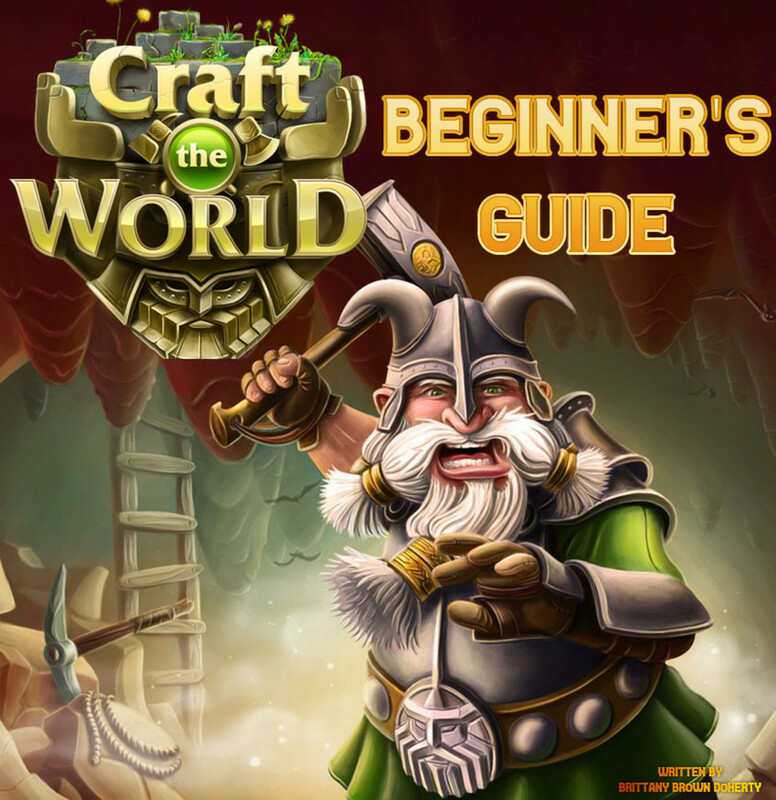 Craft the World Beginner's Guide: How to Get Started in the game! 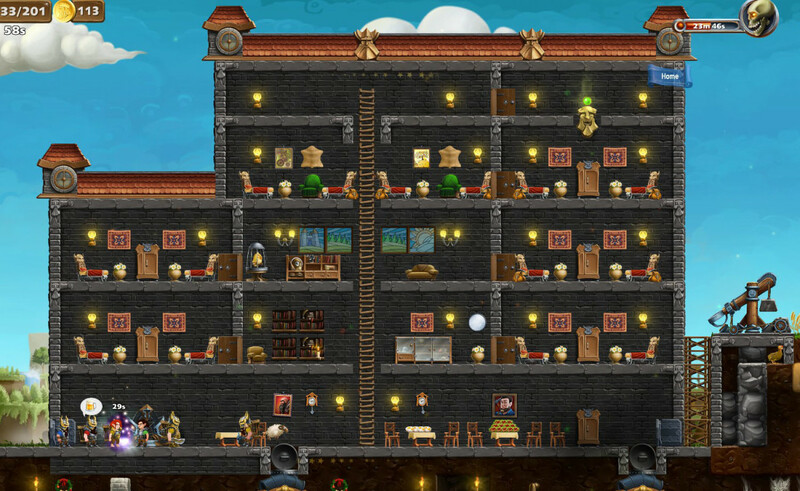 Craft the World is a sandbox/survival game where you're in charge of a little team of dwarves. It's up to you to build their world, tell them how to go about their day (be it crafting, mining, building, fighting off monsters, or just eating delicious food), and protect them from harm. I've poured so many hours into the game and have had a blast playing- but I have to admit, there's a steep learning curve, as the in-game tutorial is very brief and explains very little. Here's some tricks and tips for Craft the World that'll help you get started building your dwarf colony in no time! One of the first things you're required to do in game is to build a shelter. 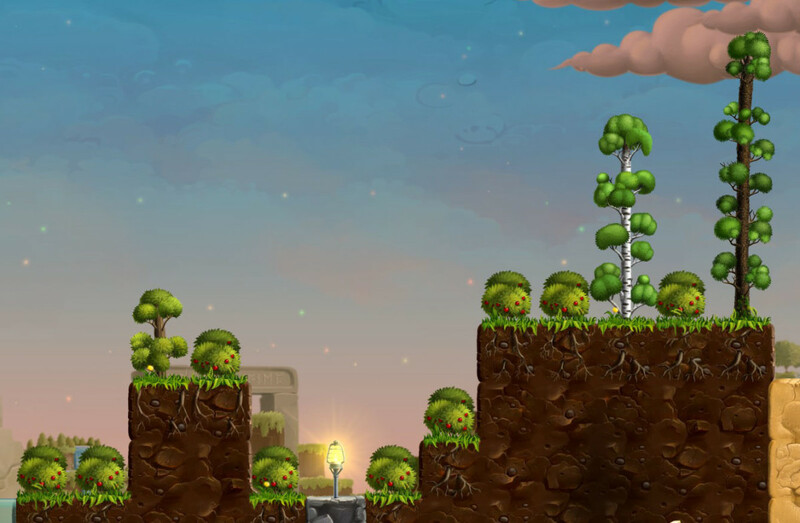 The game doesn't really explain the requirements for building one, so a lot of new players get stuck on this stage of the game. Crafting a "shelter" is a pretty simple process. All you need to build is an enclosed space- including back walls, ceiling, side walls and a hatch/door- out of any block in the game (even dirt will suffice) and then stick a totem inside. Once you place the totem, follow the line of stars to see where the border of your shelter goes. Make sure the full shelter is outlined by the stars, or you may need another totem for complete coverage. Once you have a shelter, you can place beds for your dwarves to sleep on, which will allow them to heal and gain energy. You can also keep your dwarves inside the shelter if there are monsters outside by clicking on the sun icon at the top right of the screen. ...and here's an example of a rudimentary shelter I built in the second world. 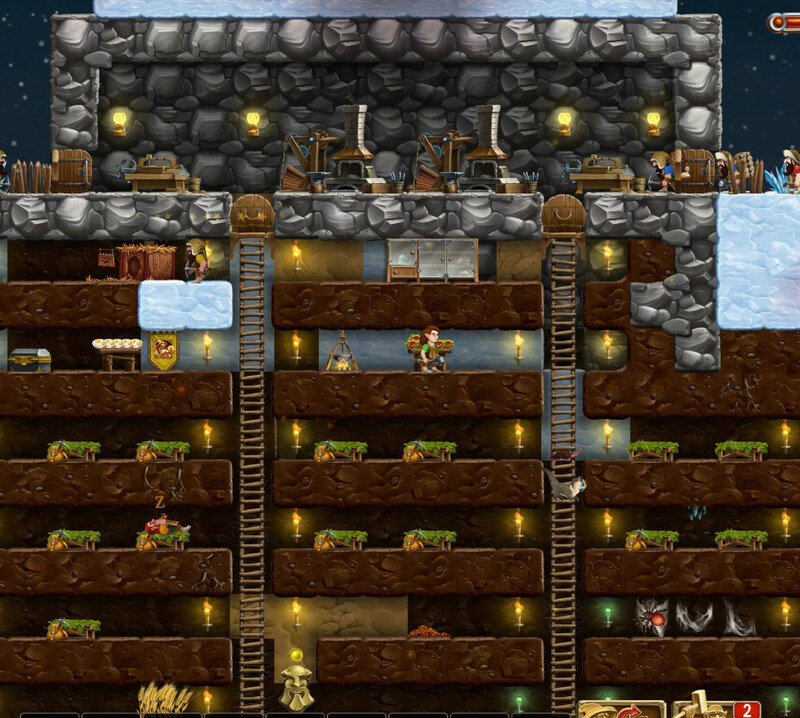 As you can see, the dwarves live below ground (notice the totem at the bottom of the screen) and craft above ground, for quick/easy access back to the stockpile. 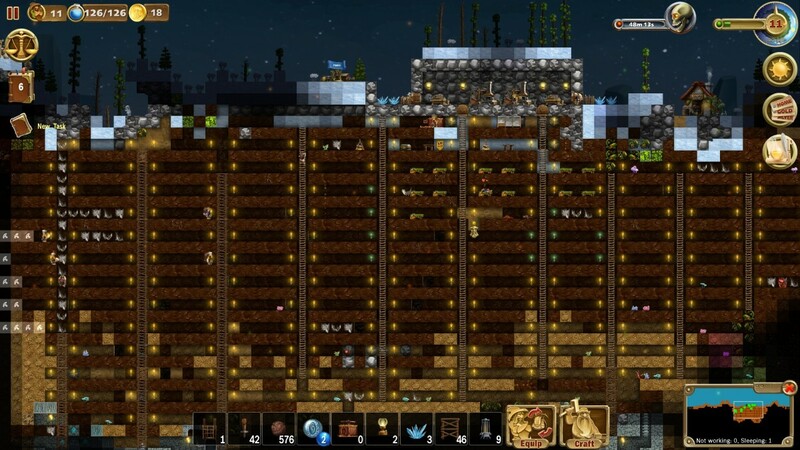 I definitely recommend building underground- at least in the beginning of your play through. You're going to spend a lot of time mining anyway, and you don't have to waste any precious materials for building that way. 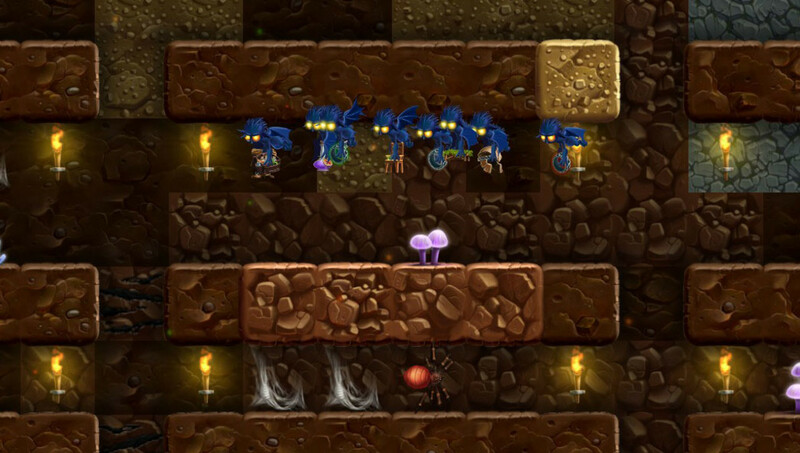 Monsters will also have less to destroy if you just build tunnels down, plop a hatch on top of one and live underground. You can always rebuild your dream fortress above ground once you level up in the game and have better materials/decorative items/protection from monsters. The game is called "Craft the World", but you've got to do a lot of mining before you can craft! The biggest part of this game is mining. You need to mine to find materials to craft with. You need to craft to unlock your next tech tree. 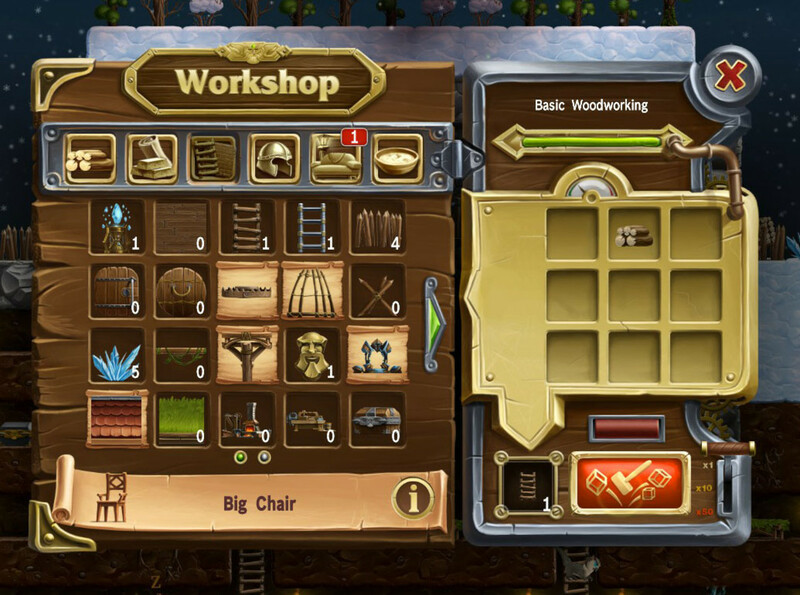 You need to unlock your next tech tree so you can craft better weapons and protective gear for your dwarves. 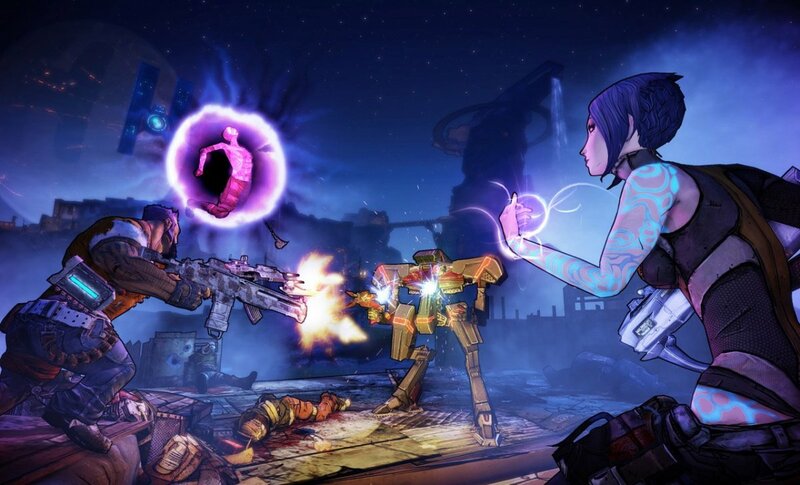 And you need better protective gear so you can fight the monsters down below, which will, in turn, allow you to reach the next level of the game. So you'll spend the majority of your time underground. There's no wrong or right way to explore below, but I like to build mine shafts with ladders (until you unlock scaffolding, which I much prefer as you can place them instantly after they're built), torches for lighting and long tunnels going both horizontally and vertically. 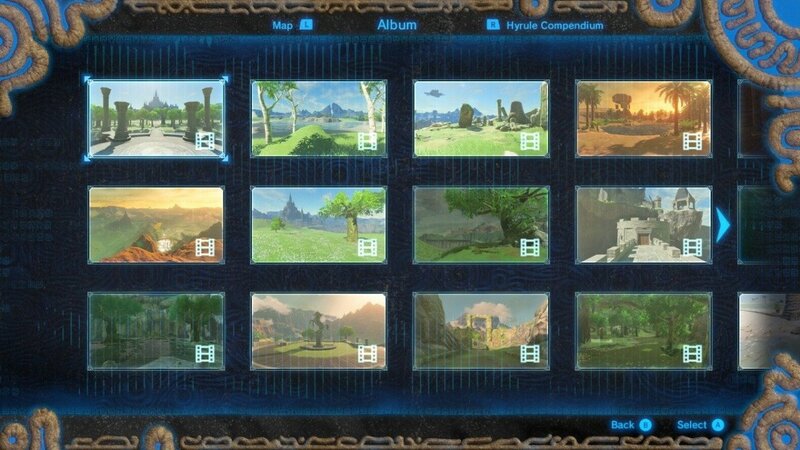 Not only does it look nice, but it also gives you a good chance to explore the mines as best you can and obtain as many ores as possible. It also gives your dwarves easier access while mining and keeps them from falling to their death! The method I've described is called "branch mining" but again, you can play and mine however you'd like to. 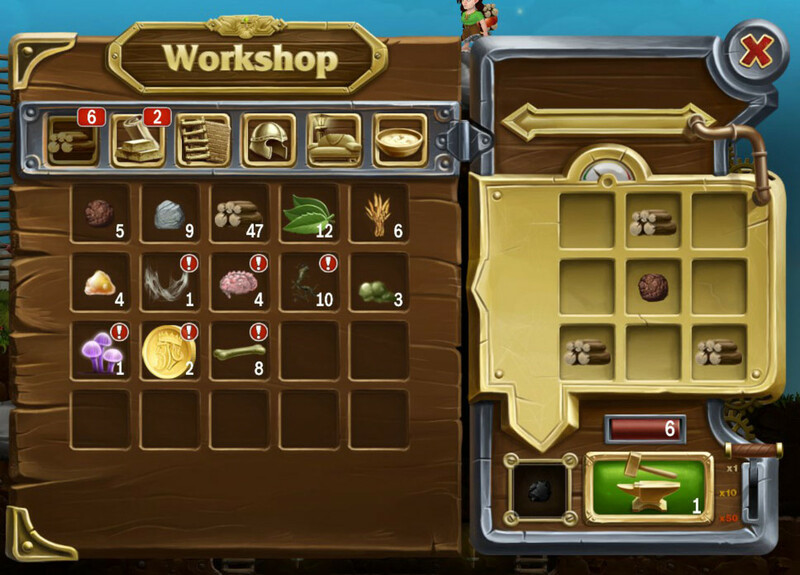 After fighting off some monsters and exploring, you'll notice that you've collected some runes in your inventory. 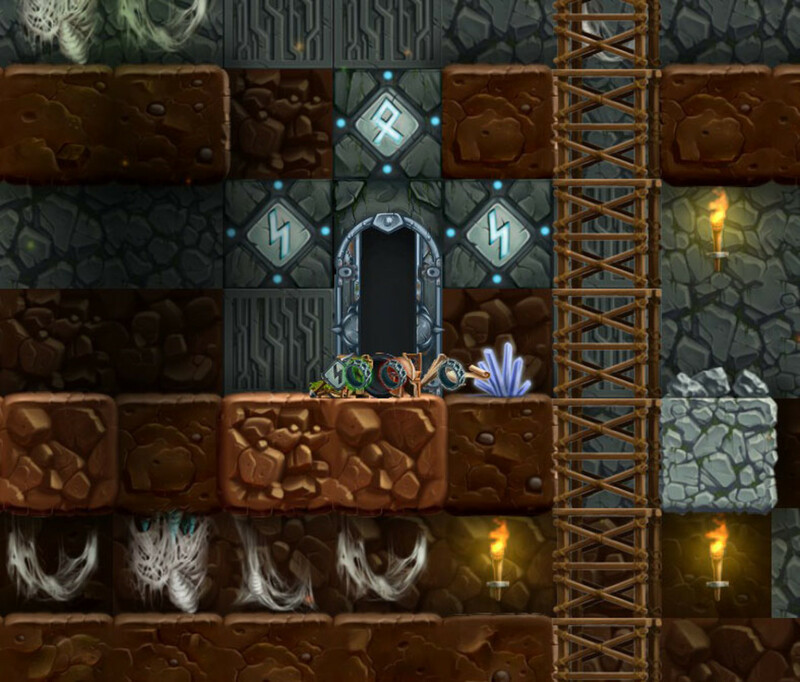 Runes are special blocks that you can use to unlock doors hidden underground. 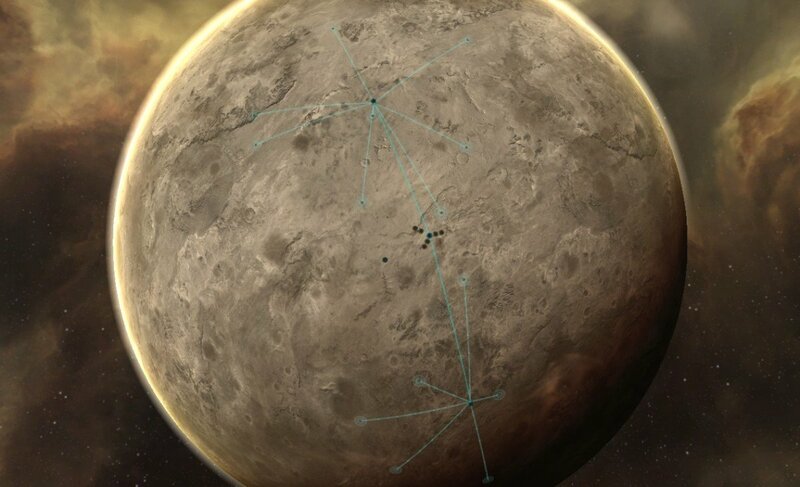 Once you start mining deep down, you'll see closed doors with faded runes around them. Direct your dwarves to destroy the mines around the door and then replace them with the proper ones. Once you've placed the correct runes, the door will open and you'll find rare items and special trinkets you can equip your dwarves with. An opened rune door with its spoils spilling out. Watch Out For Enemy Attack Waves! 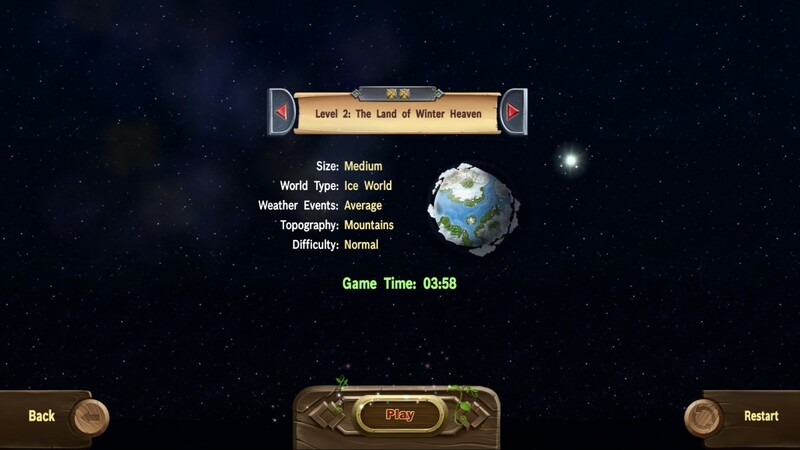 Once you reach Level 4 in the game, you'll notice a countdown at the top right of the screen alerting you to the time the monster portal will next open. This portal opens on a random spot on the map (always above ground) and monsters will come pouring out, to attack your shelter and dwarves. These raids happen every 50 minutes (or every 5 in-game days), and it's best to be prepared for them. Armor up your dwarves with the highest weapons/protective gear you can so they can fight off the monsters. It's also best to fortify your shelter, either by crafting it out of sturdy materials (level 6 durability or higher is best), or once you unlock them, you create things like traps, catapults, and defence towers to slow down or defeat the monsters. Monster raids only last 5 minutes (or until day light), so if you can fight off most of them in that time or slow them down, you'll successfully make it past the raid until the next 50 minutes passes. Alternatively, you can always use a portal spell (see above) to teleport your dwarves to a safe place below ground and have them repair any damage the following day. You can destroy and break down crafted items in the game to obtain more materials. This is a great way to get rid of the default dwarf hats/tools, as well as objects that you don't use, have better upgrades of, or have too many duplicates of. Simply drag the item you want to destroy into the craft box, and you'll see the craft button turn red with a mallet and blocks. You can disassemble most items in game and will recover some of the items it was initially crafted with (i.e. wood for disassembling ladders, iron ore for disassembling an iron pick-axe, etc.). This is also really useful to do when you find that you're running out of ores in the game! Craft the World craft coal with wood and earth! 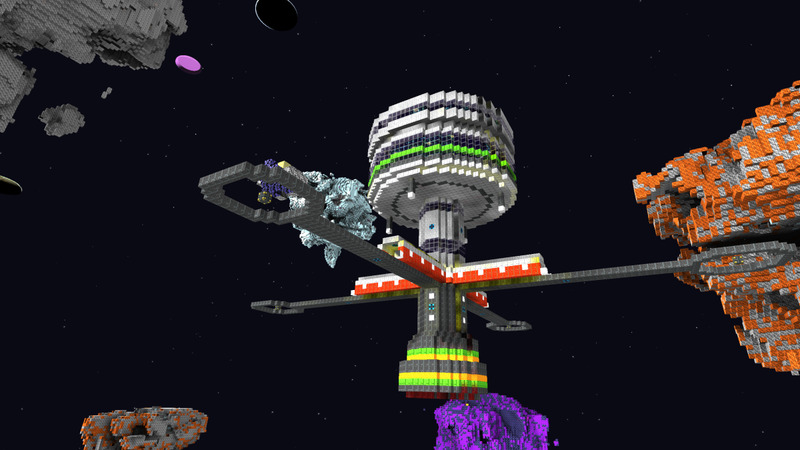 Speaking of ores- let's face the facts, it's pretty easy to run out of ores and coal in the game. Iron ore and gold ore seem to be in short supply in particular, especially once you start crafting weapons and armour. Coal gets used up quickly when cooking. Thankfully, you can craft both ores and coals with other materials in the game! 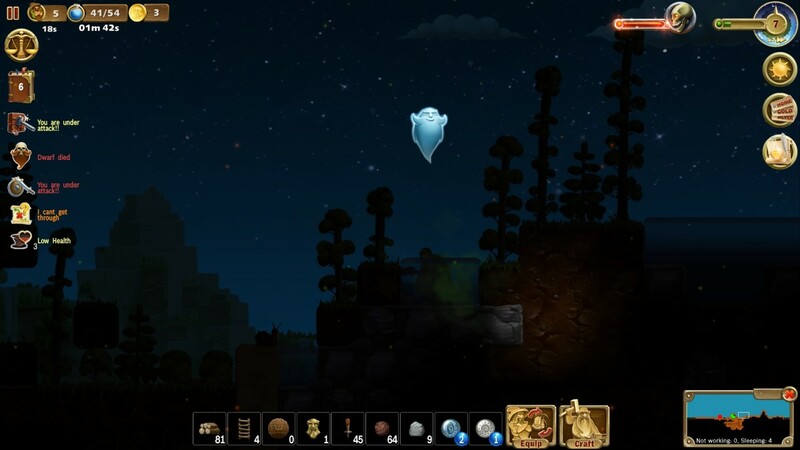 Check out the Craft the World wiki and search for coal or the particular ore you want, to find the crafting recipe. 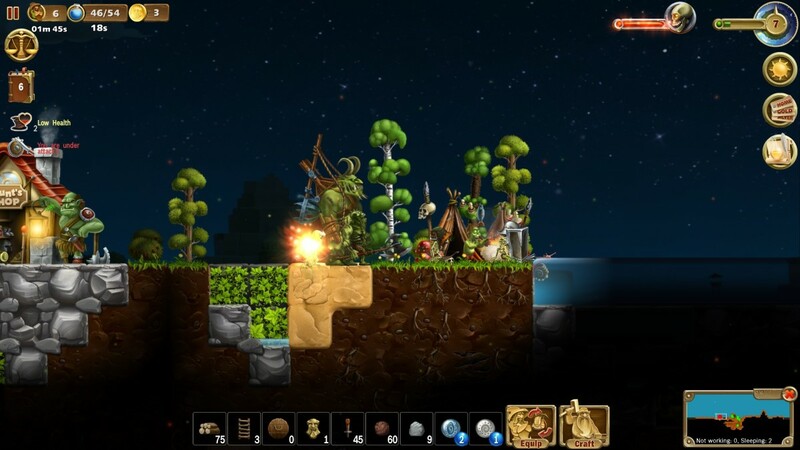 The action bar in the game allows the player to cast spells and place items for dwarves to build. I usually keep my favourite spells on it, whatever building materials I need at the moment, including torches and scaffolding for mining, and then some defensive items (spikes or catapults) so I can quickly replace them if they get destroyed. It's easy to fill up the action bar, but thankfully you can access a second one in game by holding down the ctrl button. You can put more items in the second action bar and then access them again by holding down ctrl and clicking on the relevant item. There's several hotkeys in the game that allow you to do special actions that you won't have access to just by clicking. Ctrl+ right click on a table with food selected, to fill the entire table with food. Right click and drag across blocks to mine a row of blocks in one click, or build a row of blocks. Craft the World Portal Spell- allows dwarves to teleport anywhere on the map back to the stock pile, or other teleport portals. It took me about 10 hours of play time before I really understood what Mana/spell casting was for! 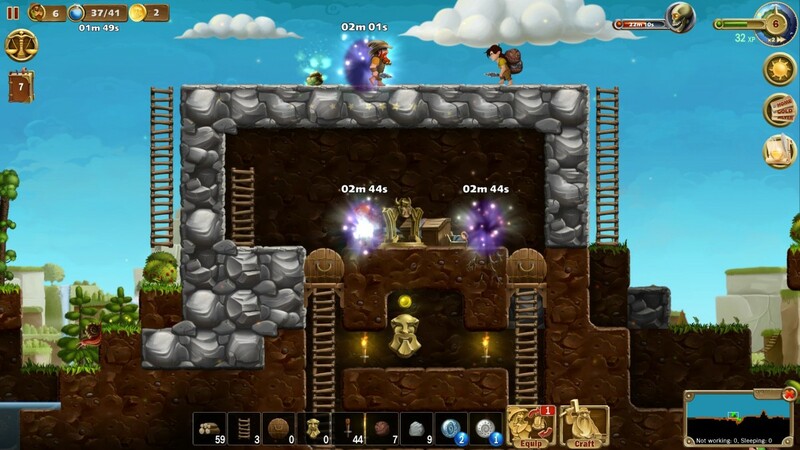 Mana is a type of in-game currency (the blue bottle icon in the top left corner- between the number of dwarves in the game and the amount of gold) that regenerates after time. 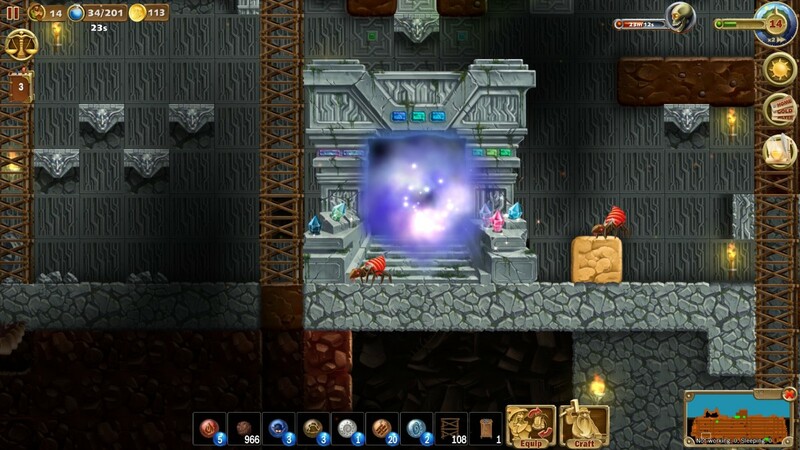 You can use Mana to cast special spells in the game that'll help your dwarves. Each spell uses a different amount of Mana, and you can also buy/craft special objects that'll allow you to reduce the amount of Mana spells use or regenerate Mana faster. Portal Spell- this is the most useful spell in the game- it's almost OP (over-powered), even because it costs so little Mana (only 2 points) and you can use it for multiple things. Of course, the default usage is to allow your dwarf to warp from anywhere you place the portal, back to the stockpile. But you can also drop portals near their beds (so they can quickly warp to sleep if health is low), or place them for a quick escape from monsters. You can place as many portals as your Mana will allow. I place them all over during big boss fights, allowing my dwarves to teleport back to safety easily, or to different areas of the area for better access to the boss, etc. Imps Summon- creates a flock of helpful imps who will come and collect any dropped materials and transport them back to the stockpile. You can stack this and have a large hoard of imps collecting resources. Craft the World Imps Summon spell- the imps will take dropped materials and transport them back to the stockpile for your dwarves! Magic Collect- collects all the materials in a 5-block radius (helpful for when you have a dense collection of materials in once place- like when dwarves have cut down a bunch of trees or mined a bunch of ores in one cluster). This is faster than Imps Summon but is unlocked after it, so by the time you reach Magic Collect, you'll probably use it in lieu of the imps (unless you have a bunch of piles of resources spread on the map- in that case, use your imps!). 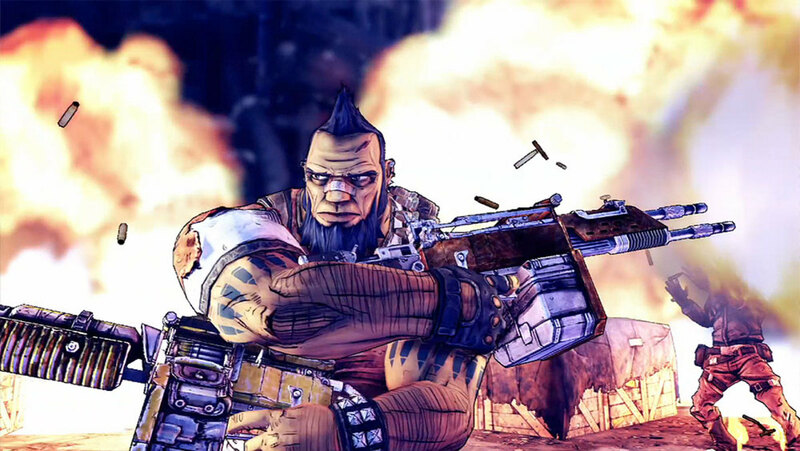 Fireball- gives the player the power to deal damage within a 3-block radius to any monsters on the map. This is great for if there's a big boss that your dwarves are having a hard time taking down on their own. Magic Explosion- destroys a 5x5 area of blocks. Great for mining in hard to reach places underground (use it with magic collect or imps summon for even quicker mining), quickly mining a large vein of ores, or levelling an area of plain blocks. You can also use it to hurt monsters, but it doesn't do as much damage. It's a sad thought, but your dwarves might die at some point in the game. Either in battle, falling to their death, or drowning in a pond (yes, sadly, that's how most of mine died- they're not terribly bright)- you'll eventually lose a few of your little friends. The first time a dwarf died in my game, I was shocked and a bit devastated- I had worked so hard to build up their little fortress and I didn't want to lose any of them. On top of that, 3 other dwarves died right after him (in a freak drowning accident) and I was worried I wouldn't be able to continue on in the game without full manpower. Don't fret, though! The dwarves will respawn eventually at the stockpile. The dead dwarf will drop all its items to be picked up again, so you don't lose any of that either- except any knowledge books you've used on the dead dwarf. Later in the game, you can craft an object to resurrect your dead dwarves, which is really handy, since at that point in the game, you'll have some pretty powerful dwarves that you probably don't want to lose. You'll need lots of wood in this game, and thankfully, unlike many other survival/crafting games, trees regenerate fairly quickly. All you have to do is leave some dirt above ground, and you'll find trees growing. If you want to prevent trees from regenerating in a particular spot, simply replace a dirt block with a different material- stone or brick, for example- and the trees will no longer grown there. 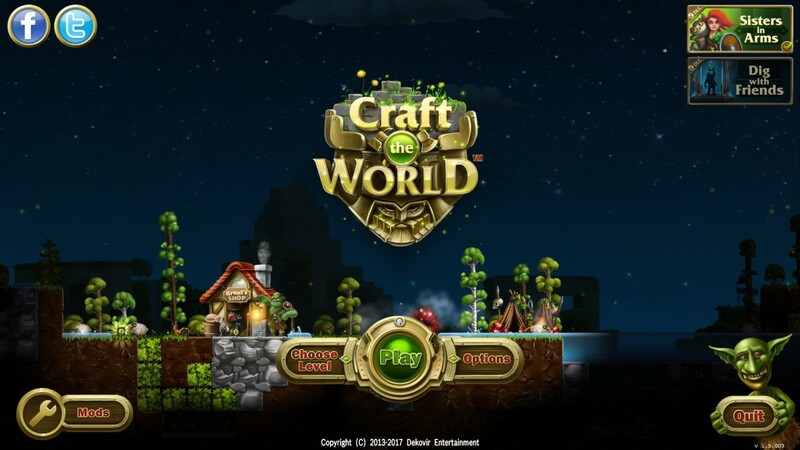 Craft the World: farms, sheep, wool and hens! String is another item in high demand for crafting in the game, and in order to get string, you'll need wool. You have to kill sheep to get wool in the game, but you'll start to find it hard to track down sheep and kill them while also protecting your dwarves from monsters, keeping them happy and feed, and working on whatever else you're planning at the moment. 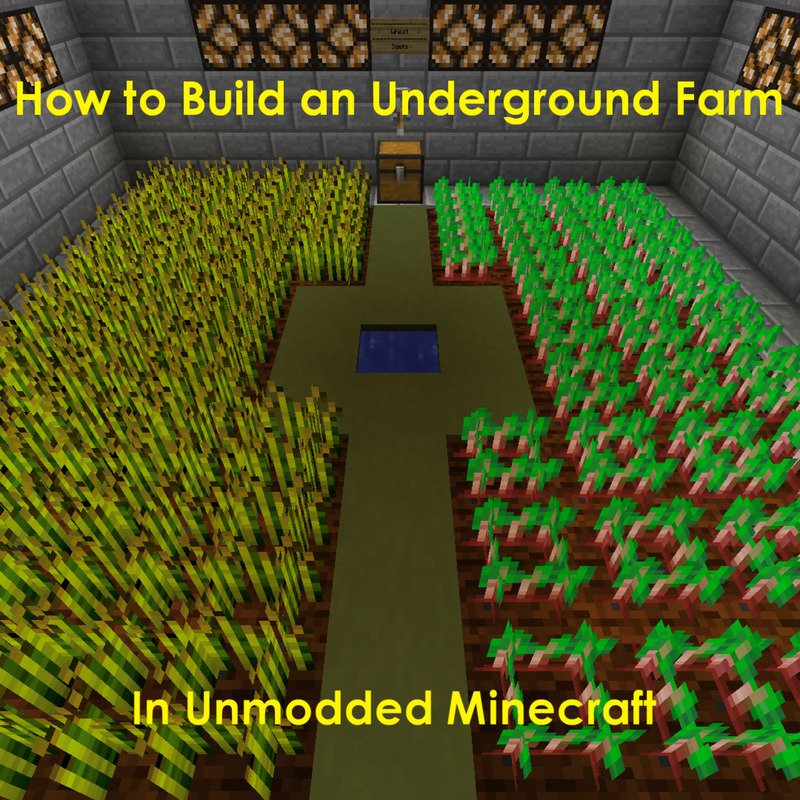 One simple solution is to create a farm on your map, so you can house sheep (as well as hens). You'll first need to craft a trap, then place it on somewhere on the map that sheep generate. Then craft 5 farm fences and place them together horizontally to create a farm. After you trap a sheep, a dwarf will take it to the farm automatically. Craft a pair of scissors, and you can direct a dwarf to sheer the sheep for wool! Their wool will automatically regenerate, so you'll basically have unlimited wool/string. This also works for llamas and caterpillars (in later levels). And if you leave hens in the fence, they'll drop eggs and feathers, too. The game allows you to zoom in and out on the map. 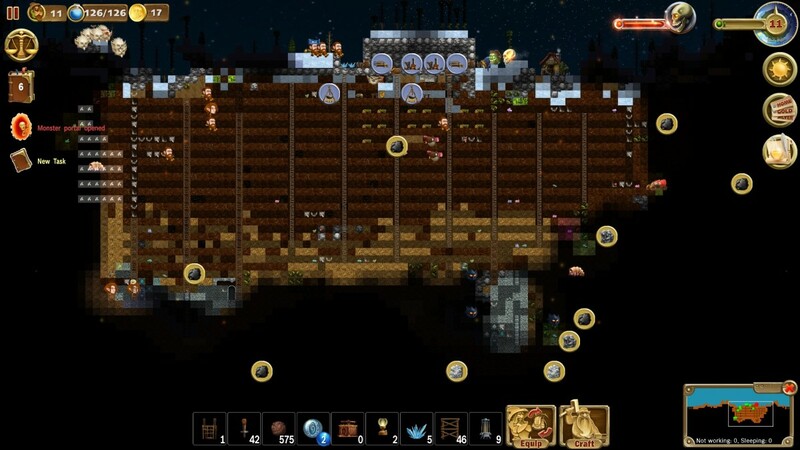 If you zoom all the way out, the map because flat and displays nearby enemies, your dwarves, ores, and animals. This is extremely helpful for getting an overall view of the map, finding hidden ore, or seeing which enemies are heading your way. A tip for laptop players: if you've got a touchpad and not a mouse with a middle trackball (which the game directs you to use for zooming), you can place two fingers on the touchpad and pinch in or stretch out to zoom in and out. 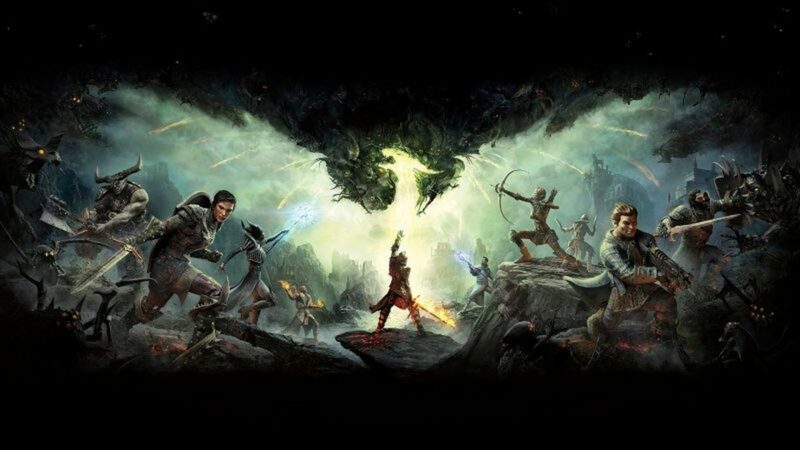 If you're in campaign mode, you might be wondering if there's an end game or final objective. There is: you need to find five portal pieces underground, craft them and then create a portal to move on to the next world/level. There's no time limit to when you have to do this. I spent 20 hours exploring, crafting, levelling up my dwarves and decorating my home before I bothered with crafting the portal pieces. But you can do it as soon as your dwarves are ready to fight the bosses that hide underground. I'd recommend only taking them on when your dwarves have at least gold armour/weapons- as the beasts below that guard the portal pieces are quite damaging! 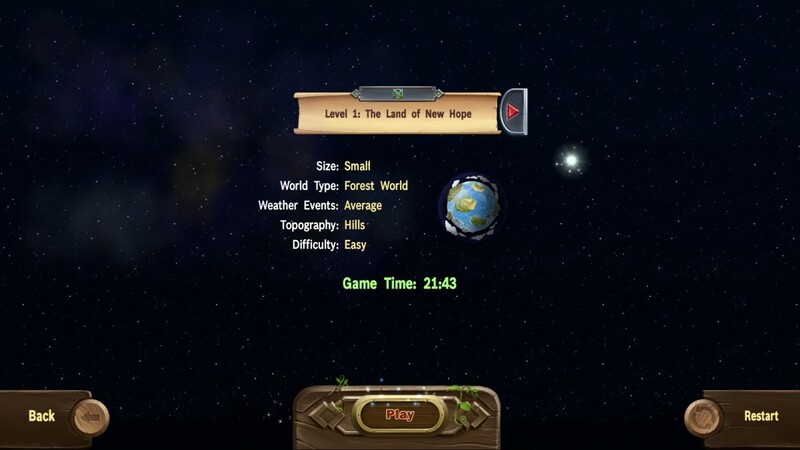 You Can Return To The Old World Whenever You'd Like! One thing I was really worried about when finishing the starting level and going on to the next is that I'd have to leave behind my dwarves, and the home I'd built for them. Thankfully, even though you move to the next level, you can still go back and play the old save at any time! 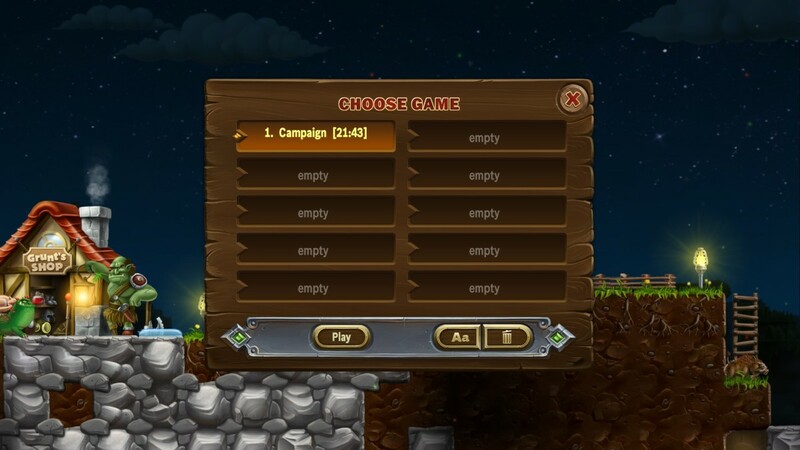 Simply click on "Choose Level", click the save that you were playing on, and you'll be brought to a menu where you can go back to the old worlds you've played in campaign mode. I like to go back and build in my old world/check on my dwarves every once in a while, just as a change of pace from whatever level I'm currently in on my campaign. That's all the tips I have for now! 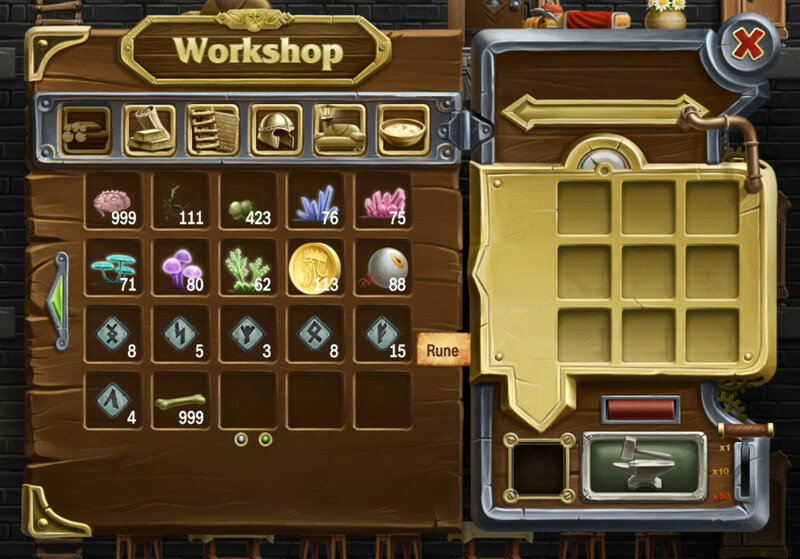 Do you have any tips for Craft the World? Which tip did you find most useful? Let me know in the comments section below!